SPAM costs businesses upwards of $20.5 Billion annually in decreased productivity and technical expenses. Where does SPAM come from? Until 2012 the United States was the largest producer of junk mail with Russia is in second place. 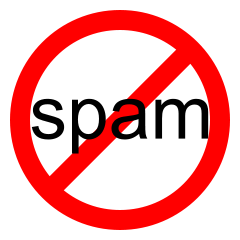 Legal prosecution of Spammers along with increased vigilance of Internet providers in the U.S. has reduced the United States SPAM production. In 2008 the U.S. accounted for just over 15% of all junk mail sent, by April of 2012 that number had reduced to 8.3%. The U.S. has fallen to 2nd place with India taking the lead.